If you’re keen for a career in mortgage broking, this onlineFNS50315 Diploma of Finance and Mortgage Broking is just what you’ve been looking for. 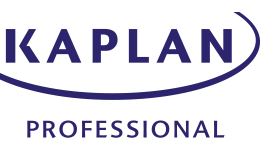 Whether you already work in mortgage broking or are just starting out in the industry, Kaplan Professional’s comprehensive course will give you the professional training and compliance requirements you need to get ahead. This diploma not only equips you with essential knowledge of commercial, business and premium client lending but also enables you to attain Credit Adviser or Associate Credit Adviser status with the Mortgage & Finance Association of Australia (MFAA). With just two subjects, you’ll learn about critical elements of the finance and mortgage broking industry and meet the licensing requirements for mortgage brokers set out in ASIC’s Regulatory Guide 206. By the end of this course, you’ll be able to assess a prospective borrower’s eligibility to obtain finance and service debt, forge successful relationships with clients, third-party referrers and other professionals and know how to identify and manage risks. This qualification is recognised by the MFAA and the Finance Brokers Association of Australia and will set you on the right path to a fulfilling finance career. There are no minimum education requirements, however, it is strongly recommended that applicants have a strong grasp of language, literacy, numeracy and computing skills. IFP: Introduction to Finance Principles – optional (this subject is separate to the diploma and is recommended for those who are new to the industry). Upon successful completion of this course, you will receive a FNS50315 Diploma of Finance and Mortgage Broking Management from Kaplan Professional. Individuals who complete this qualification will be equipped with the knowledge and skills to pursue a career as a mortgage broker. They will also meet the licensing requirements for mortgage brokers outlined in ASIC's Regulatory Guide 206 (RG206). The full fee for this course is $1,090 (GST exempt).